Saint Olav’s Day is considered by many to be the national day of the Faroe Islands. It is also widely celebrated in Norway. The holiday itself is on July 29, but some of the festivities start on Saint Olav’s Eve. Olaf II Haraldsson, also known as St. Olaf or St. Olav, was King of Norway from 1015 to 1028. Traditionally, he has been seen as the leader of the Christianization of Norway. Olaf was killed on July 29, 1030 at the Battle of Stiklestad, while trying to win back the kingdom that had been invaded by King Canute the Great of Denmark. Olav was canonized in Norway one year after his death. In 1164, the Roman Catholic Church confirmed his local canonization and recognized him as the patron saint of Norway. St. Olav’s Day is widely celebrated in the Faroe Islands. Although the archipelago is an autonomous country within the Kingdom of Denmark, it was part of Norway for many centuries, and the Faroese consider Olaf their king, too. In the Faroe Islands, St. Olav’s Day is known as Ólavsøka (“Saint Olav’s Wake”). 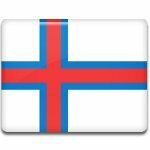 It is the day when the Faroese Parliament, the Løgting, opens its session. The festivities typically start on Saint Olav’s Eve (July 28). The opening ceremony includes a parade in downtown Tórshavn. The procession features city council members, local athletes, horsemen, and a brass band. The parade is followed by the traditional boat race.